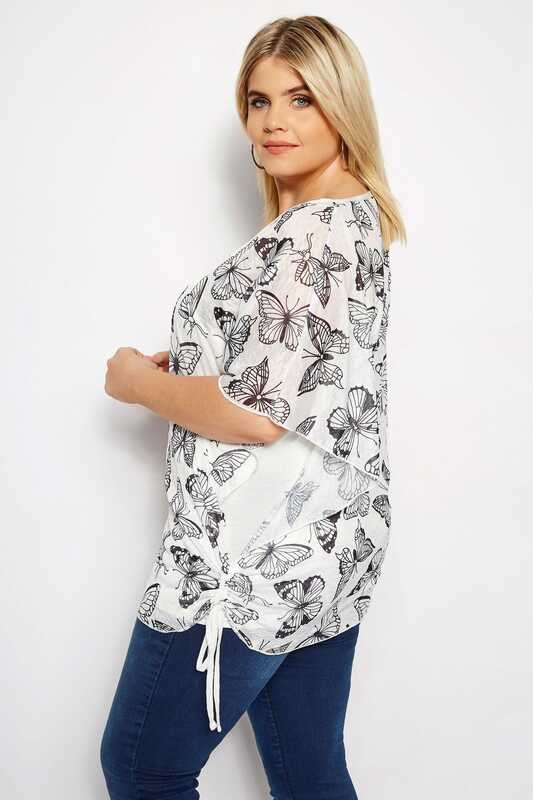 Freshen your look with this stylish butterfly batwing top from Izabel Curve. 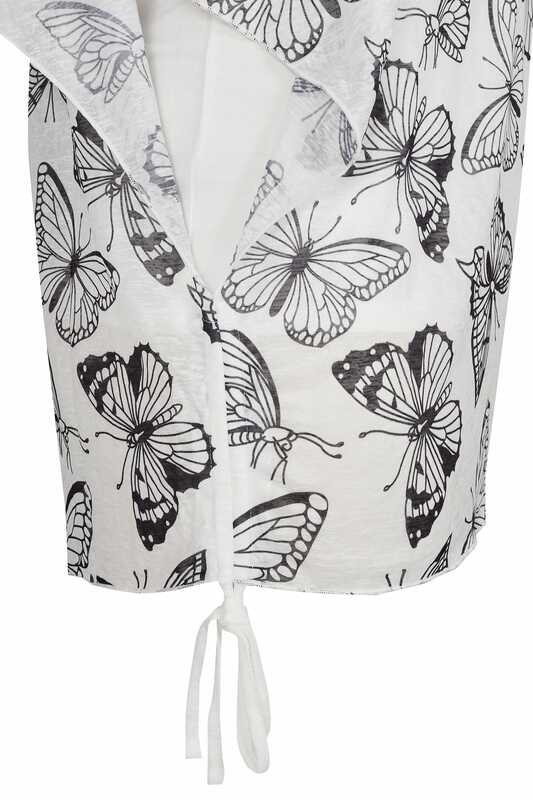 With a built-in camisole, it offers a stylish printed overlay with tie fastenings to the side. 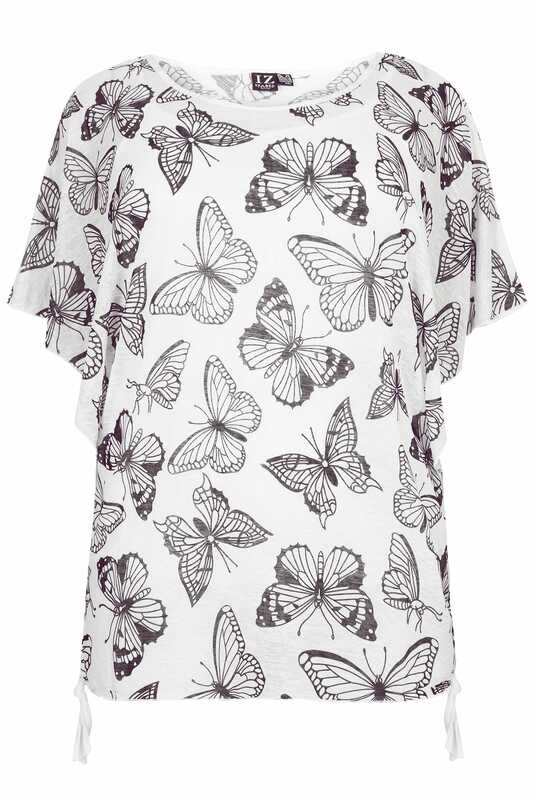 Great for casual wearing, match with light denim and pumps for an oh-so-chic everyday look. 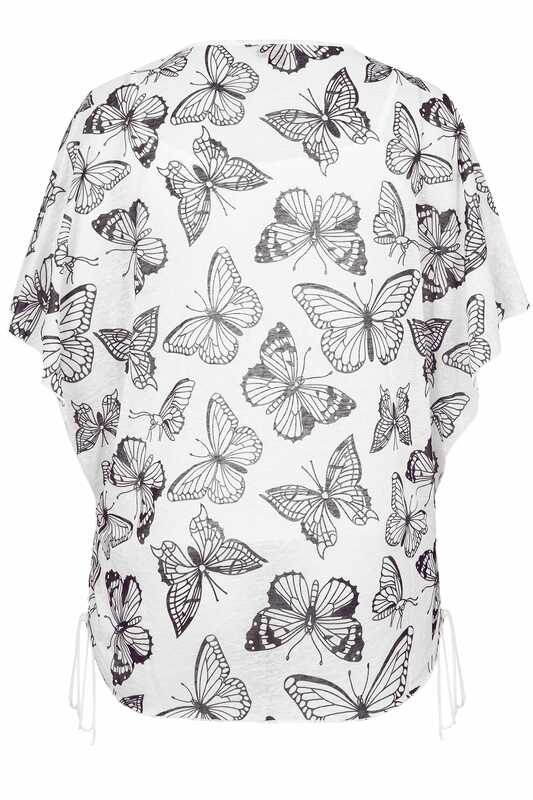 It's sure to be a refreshing addition to your new season wardrobe.